MANHATTAN (CN) – Having lost his last co-defendant to a plea deal, the former union head who sank $20 million into a hedge fund that went belly-up began his bribery retrial Thursday solo. 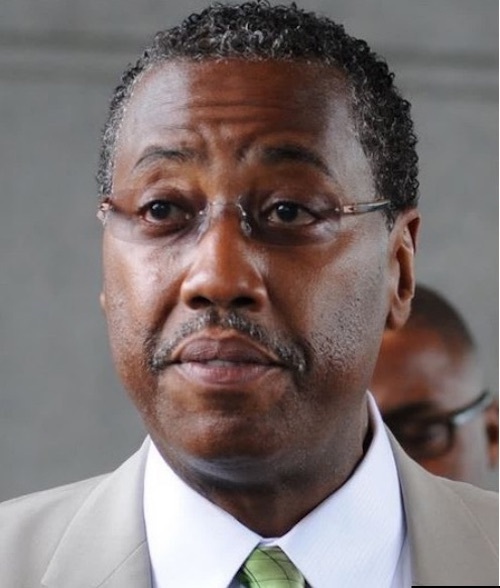 Prosecutors say Norman Seabrook took kickbacks as president of the Correction Officers’ Benevolent Association in exchange for steering $20 million in worker retirement funds to the hedge fund Platinum Partners. Before his 2016 indictment, Norman Seabrook spent 21 years at the helm of the powerful New York City Correction Officers’ Benevolent Association. Prosecutors aim to show on the other hand that the snappily dressed 58-year-old only invested union retirement savings with the hedge fund Platinum Partners after its founder sent him a Ferragamo satchel stuffed with $60,000 in 2014. Seabrook had been charged alongside Murray Huberfeld, the Platinum Partners managing partner accused of directing that bribe, but Huberfeld struck a plea deal in May with prosecutors after his first trial with Seabrook ended in a hung jury. “Norman Seabrook was supposed to have his union members’ backs, but he did not,” Pomerantz said. As in the first go-around, the star witness at Seabrook’s retrial is expected to be former Platinum Partners power broker Jona Rechnitz. The government has surveillance footage of Rechnitz passing the Ferragamo handbag to Seabrook, allegedly at Huberfeld’s behest, but Seabrook denies that the bag contained any cash. Huberfeld’s plea deal scarcely mentioned the bribery scheme, meanwhile, with the 57-year-old partner admitting only to defrauding his hedge fund of $60,000. As evidence of Seabrook’s fraud, the government plans to show an invoice in which Rechnitz represented that $60,000 paid for courtside tickets to eight New York Knicks basketball games. Priming the jury to distrust the star witness, defense attorney Lynaugh emphasized in her opening that Rechnitz received immunity in exchange for testifying about his involvement in two Ponzi schemes, defrauding a medical insurer and lying on government forms to head obtain a gun license. Rechnitz is a “pathological liar” who took the “deal of a lifetime,” Lynaugh said. To undermine Rechnitz’s testimony and character at the last trial, the defense for Seabrook, who is black, showed evidence that Rechnitz once wore blackface to a costume party. Rechnitz on the stand claimed that Seabrook was one of many New York City officials in his pocket. Though he described attempts to bribe Mayor Bill de Blasio, the defense showed emails that Rechnitz had doctored to exaggerate any influence on Hizzoner. Lynaugh said she expects her Bracewell LLP co-counsel Paul Shechtman to cross-examine Rechnitz next week. If Seabrook made the remark, however, U.S. District Judge Alvin Judge Hellerstein said he hadn’t heard it. Hellerstein advised the former union head to remain “impassive” for the remainder of the trial.